These words prompt us to feel important. If we purchase the item TODAY then we will be among a small group of people who capitalized on this exclusive offer. We would miss out on an opportunity of a life time if we didn’t purchase the item TODAY! Many people cave to the subtle marketing pressures and end-up buying something from that store. Hey, I’m guilty of it. But how eager are you to rush to accepting Christ as your Lord and Savior? When you see the offering of Christ is free and available to us all, how important do you feel? Do you contemplate the pros and cons of accepting Christ? Perhaps, you feel a rush of excitement at the thought of being apart of this exclusive offer. 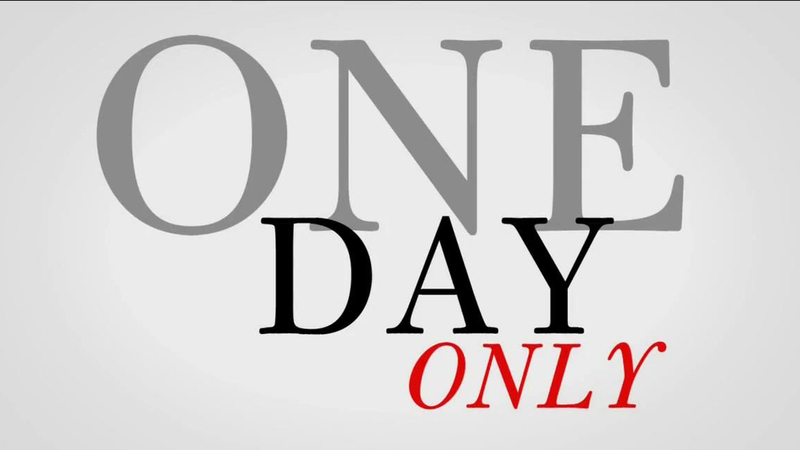 I wonder how many people would accept Christ if His salvation was offered for “ONE DAY ONLY?” In the same manner people rush to purchase an item today because they are unsure if it will be available for sale later is how you should rush to accept Christ as our Lord and Savior if you haven’t already done so. Tomorrow is not promised. There is no guarantee that you will have a chance to accept Christ as your personal Savior. However, the difference between the store offering a sale for a day and Christ is that IF you are fortunate enough to see a new day, the same offer for Salvation will be extended to you even though the store sale will have expired. God wants you to be apart of His family. Don’t allow another day to go by without asking the Lord to come into your life. John 3:16 says, “ For God so loved the world that he gave his one and only Son, that whoever believes in him shall not perish but have eternal life. Don’t take a chance with your life, choose Christ today! I encourage you to share this with your family, friends and even strangers. Good morning! Happy Wednesday to you all! I pray your week is going well. Think of the mother whose child is acting unruly in public and she gives her child a stern look and they instantly behave. Or perhaps you can imagine the supervisor who walks into the office meeting that was spiraling out of control and miraculously the “climate” of the room changes. Sometimes the mere presence of authority can shift things. However, there are instances that require MORE. Often times I can go throughout my day and exhibit a level of control as it relates to my relationships, my job, finances, ministries, etc. It seems like things are going right and I have a handle on my day and all of a sudden a monkey wrench is thrown into the mix. Why can’t I handle this situation, why can’t I cast this “demon” out, why doesn’t my usual methods work? Have you ever asked yourself these questions when challenges arise? Well, I have great news! The reason why your usual methods aren’t working is because SOME things only come by prayer and fasting! Much like the disciples in Mark Chapter 9, I find myself baffled by my inability to do what I am normally capable of doing. But then God reminded me through the text that some things can’t be changed through the normal day-to-day functions. Some things require a level of surrender, humility and sacrifice. But, you do pray, you say. Well there is a difference between praying over your food and thanking God for waking you up this morning and praying until heaven opens! But, you do fast, you say. Well there is a difference between turning down your plate because corporately your church is fasting for a new campaign or doing it for detox purposes and laying aside things of the flesh in order to hear from GOD. Some things you have to tap into the spiritual realm in order for God to manifest in the natural. I know you are used to handling certain situations on your own, but now is the time to seek God on when to pray and fast. Fasting should not be restricted to one time of the year. On the contrary, you should fast all throughout the year. If you want to see lasting change in situations, you may need to fast and pray. Don’t get discourage when your usual methods fail. Rejoice, because it may mean you need to fast and pray. God will give you strength for the journey. Bombard heaven with your petitions. Tap into your supernatural power and ignite your spiritual gifts through fasting and prayer. If you are wondering when you should start-I would say RIGHT NOW! Good morning! Many have inquired if the blog is still up and running. The answer is yes! A lot has been happening behind the scenes and has redirected my attention. I will be blogging more and in the upcoming year, I will be starting a new spiritual health and wellness blog. I pray that although the blog has been on a temporary hiatus, that your prayer and devotional life has not stopped. If you are looking for great devotions, I would highly recommend YouVersion. YouVersion is an app available on your cell phone or even on your computer, where you can sign-up for free devotional plans. It has the capability to read the lessons to you, you can select devotions based on specific subject matters, you can interact with a community of bible readers and friends and so much more. It’s an awesome way to grow in the Lord. Visit: https://www.youversion.com/. I have been collecting Prideful Products the entire year and distributing them to local homeless shelters in the Hampton Roads area. This Christmas season, I am collecting feminine sanitary products along with gently used or new purses and handbags. If you would like to be apart of this effort, please message me at niklellis@live.com. I am accepting monetary donations, coupons, as well as, any type of sanitary product. Everyone woman should be able to get these basic necessities with a sense of Pride and Dignity. Little means much when we are all working together! I have completed my certification as a Leadership Coach with Crowned Ministries International Leadership Coaching (CMI-LC) in October 2015. Completing this certification has allowed me to grow so that I can better serve my family and my clients through Fit For A Purpose, LLC, (F.4.A.P). 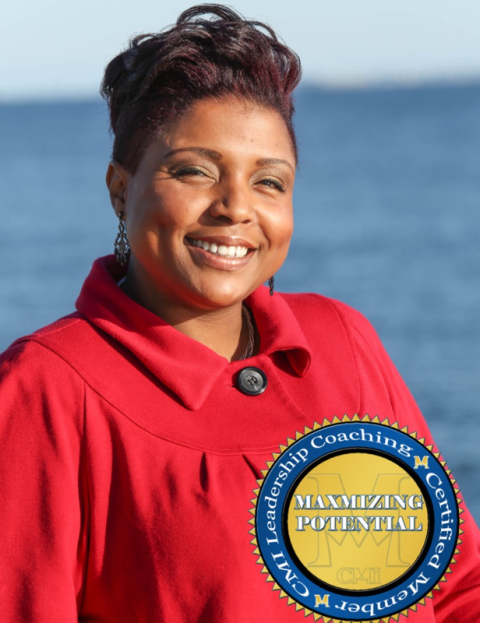 If you are interested in finding out more about the Leadership Coaching program visit: http://cmileadershipcoach.com/. Also, I will be starting a new coaching session for spiritual health and wellness with F.4.A.P in January 2016. Visit http://www.fit4purposellc.com/ and leave a note in the “Contact Us” page if you are interested in the free training session that will be offered in January 2016. I completed my second book, Fit For A Purpose: A Spiritual Journey to Physical Weight Loss. The official release date is coming soon! There are some advanced copies available for sale. 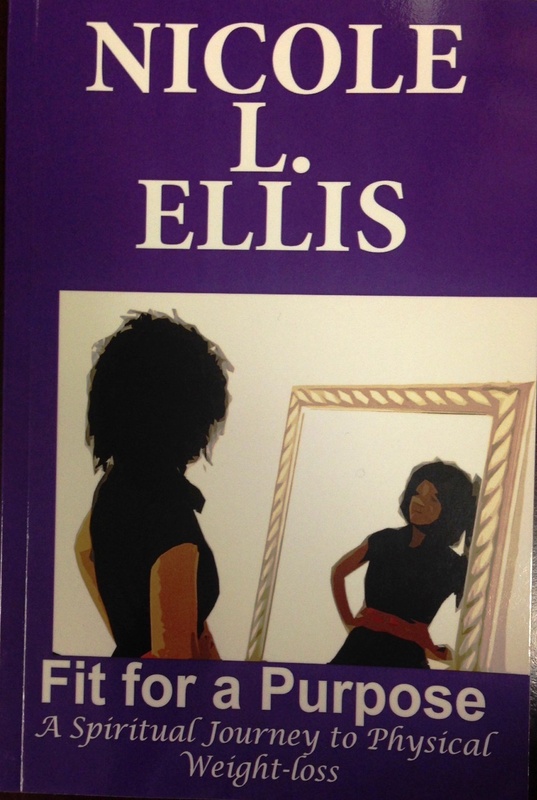 Email me at f4apllc@outlook.com for an advance copy. I recently started a new job! I celebrate this promotion and give God all the glory and the honor for this elevation! I rejoice for this new assignment. God answered a prayer that went out two years ago! He is so strategic! Wait on the Lord and while you are waiting prepare for the shift! I began a prayer call for WIVES only in August 2015. 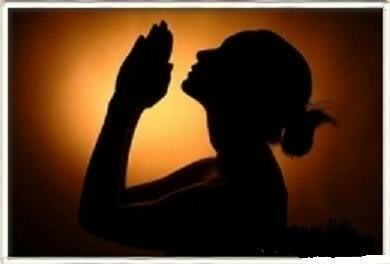 If you are a wife and need prayer email me at niklellis@live.com for more information. Needless to say there has been a lot going on. God has given instructions and I have moved. Every piece connecting to another piece. I’m in a place in my life where I just want to be used by God. I don’t care about all of the details. I am not interested in what other people think. I just want to serve God. I encourage you all to seek God on what your calling is and then walk in it. Walk in your purpose. Give God your “YES” and watch Him take care of the rest. Always make yourself available to the shift of God in and around your life. I’m in a season of stretching and God is molding me into who He created me to be. So what’s new with you? Are you living a life of purpose? Are you making a difference in the world or are you squandering your gifts due to fear and complacency? I pray God’s blessings over your life. God bless!